Very organized website with noticeable page description that help us to identify our position. Each page have the same style, only different color themes for each categories. Sub categories have the same color theme with parent categories that tell us we're still in the same categories, but if we click to a sub category, I found it hard to go to another sub category; we must go back to parent page first. At the bottom of the page there's many links that help us choose our destination. Even though the navigation is quite okay, I quite confuse in reading the content because it good too many more section inside the page, when actually the user want to find some tutorials instead of galleries or many other section. Simple navigation, but makes me confuse where I am in because the page do not really have any title to let us know where I am except for little triangle under the button. Mostly what I can see here are just items with their price, there's alo discussion link where user can discuss/review the items. When I click the discussion button, suddenly I'm in blog section where user comment on the blog entry. The good thing in this website that I like is they got search button that help user to find the stuf that they want to buy. 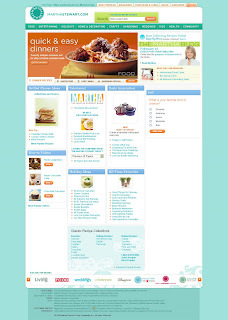 Also the right navigation divided items into some categories that help user find the item they want. 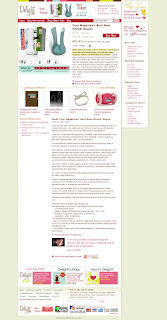 When I click the item it will me to a page that will describe the item, bigger photos, and some review. I think that's a helpful information for user to know more about the item that they want. At the bottom there's some button that let us know which kind of payment that accepted there. Good navigation with clean design, find it easy to go to certain page. 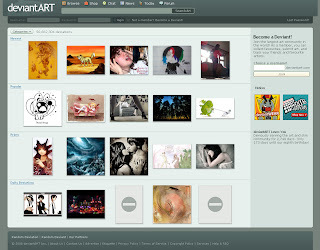 The browse page also nice where we can find specific section for each artwork. And search button! I love big website with search button because it really help a user like me that easily get lost 8D The annoying thing is that sometimes there's full page ad if we're not a subscriber, but we can easily continue to next page though. New user also can easily become member, just by typing their desired username and voila! Become a new member 8D while existing user can easily log in from the any pages. Artwork thumbnailed neatly in tables, the color theme with only one hue do not make the website too crowded even though there's so many thumbnails there.